"I specialise in the early diagnosis and treatment of Alzheimer's disease and other types of dementia." 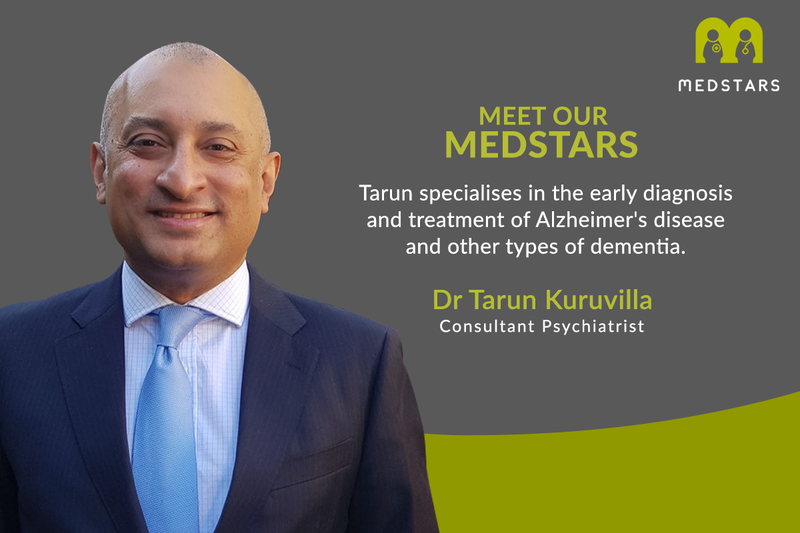 Tarun works tirelessly to shatter myths about dementia for his patients and improve their quality of life. 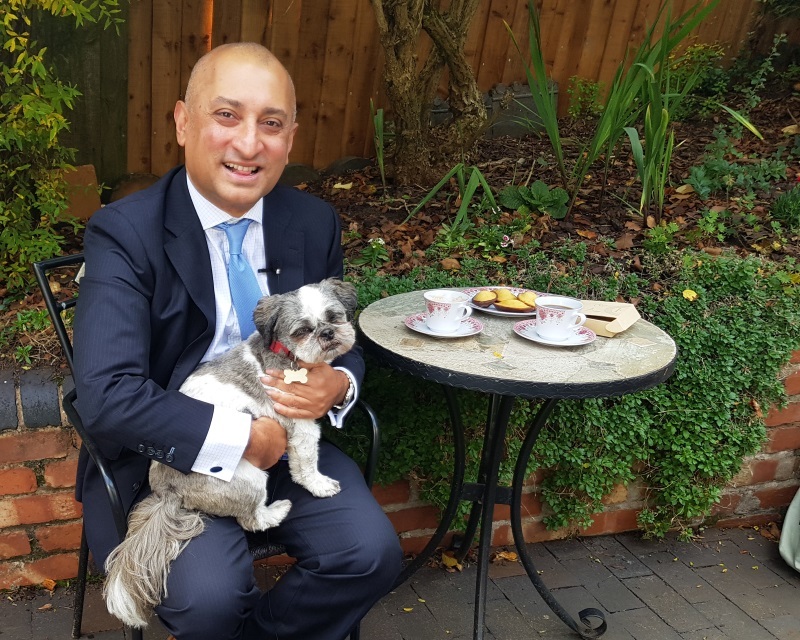 When he is not working in his Cheltenham clinic, he dedicates his time and energy to leading research and publishing papers on brain imaging and memory loss. "Very good in all respects, great choice!" "A very, very impressive gentleman who combines the greatest clinical expertise with the nicest and gentlest care for his..."
My mission is to dispel fear and stigma about Alzheimers as early diagnosis gives a good prognosis with access to treatments and support to slow down the progression of the disease with the aim of a good quality of life for my patients. I completed my undergraduate medical training in 1996. After completing house jobs I worked for a year in general medicine before specialising in psychiatry. I trained in psychiatry in Birmingham and the West Midlands. I qualified as a consultant in 2006 and have been working in old age psychiatry since, with over 10 years' experience as a dementia specialist. I became an NHS Consultant in Old Age Psychiatry in Cheltenham in March 2008. I have a special interest in brain scans with access to the latest scanning technology such as 3 Tesla (high resolution) MRI and PET (both glucose and amyloid) scans which facilitate ruling out or the very early diagnosis of dementia. I'm funded by the National Institute of Health Research (NIHR) as a Principal Investigator for several clinical trials for newer treatments for Dementia and am joint clinical lead for Division 4 of the NIHR: West of England Clinical Research Network. I was honorary clinical lecturer in psychiatry at University of Birmingham from 2003 to 2005 and have produced several peer-reviewed publications. I also carry out medico-legal reports having extensive experience in mental capacity assessments such as capacity to appoint a Lasting Power of Attorney (LPA), capacity to manage finances, Court of Protection reports and the capacity to make a Will. I have extensive experience in mental capacity assessments such as capacity to appoint a Lasting Power of Attorney (LPA), capacity to manage finances, Court of Protection reports, capacity to make a Will, etc.